The last time the Deftones played the Hollywood Palladium was during the White Pony tour. It was an amazing show with them debuting a majority of their now classic third album. Some of those memories will be recalled when they return to the Palladium on Friday, June 10th. Tickets go on sale tomorrow Friday, February 11th at 10am here. This show will definitely sell out. 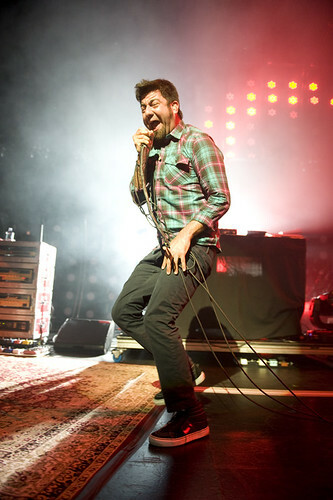 Great Blog (here and OC weekly)......Deftones tickets purchased. Congrats on having my dream job! Keep up the great work!